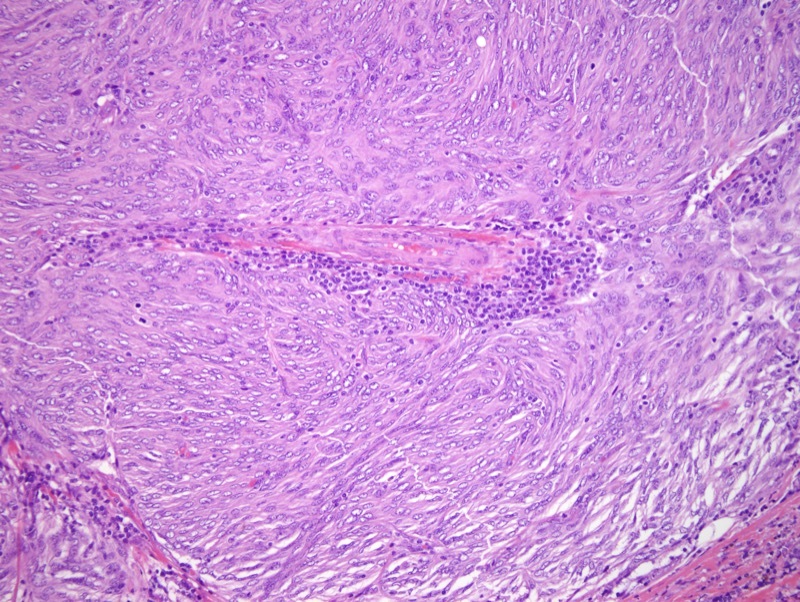 This is a case of a follicular dendritic cell sarcoma. 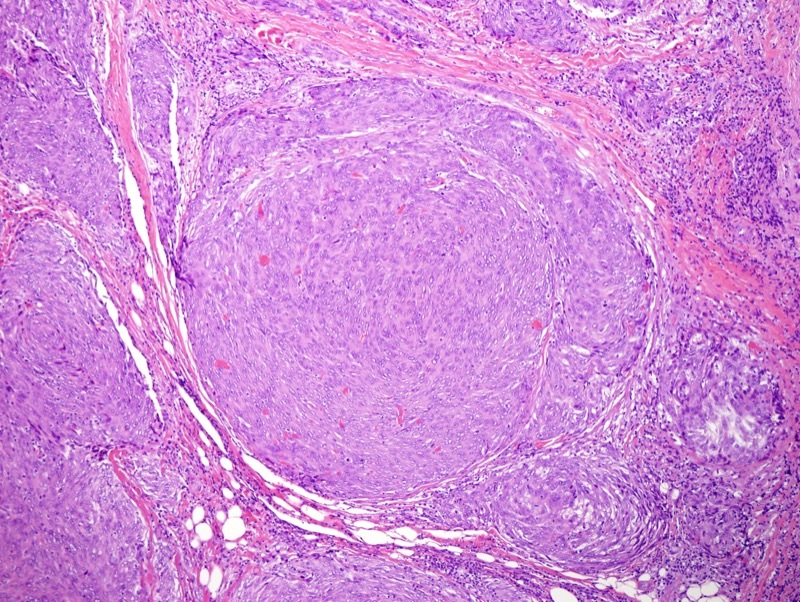 This rare tumor recapitulates the morphology and immunophenotypic profile of normal follicular dendritic cells. 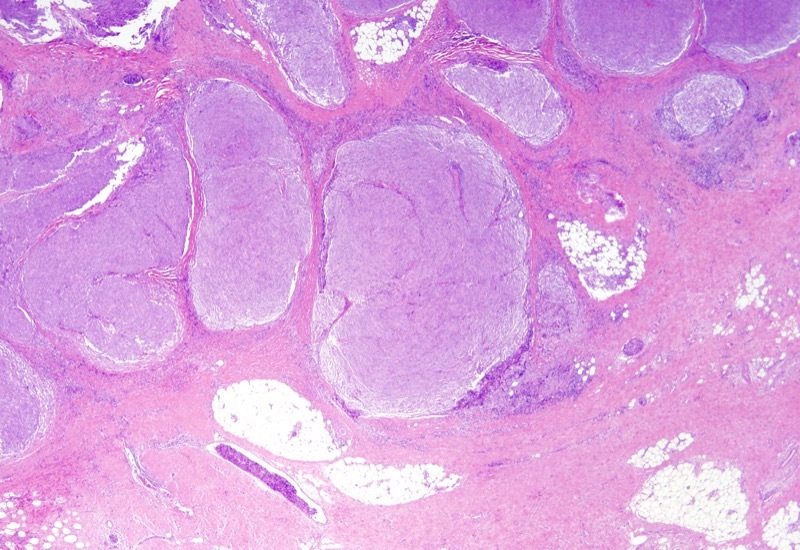 Up to 20% of cases are associated with Castleman's disease. Immunohistochemical studies are essential for making the diagnosis. Tumor cells are positive for CD21, CD23, CD35 , clusterin, HLA-DR, fascin, EGFR, and vimentin. 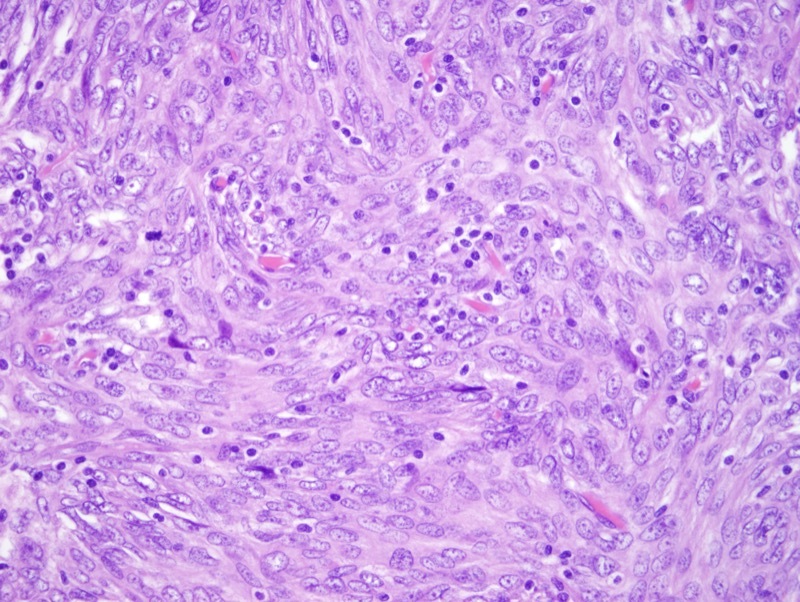 Ki-67 can be positive in up to 25% of tumor cells.